(UKWMS-19/9/2018) Global competition is now increasingly prevalent. Various business organizations in the form of large corporations and Micro, Small and Medium Enterprises (MSMEs) are now encouraged to utilize digital technology to expand their market. Today’s Indonesian MSMEs also need to develop new thinking patterns in the use of information technology by making their business digital and global. According to the McKinsey report in 2016, Indonesia can increase the level of economic growth in 2025 to 10% of GDP or 150 billion USD per year through digitalization. In order to pursue this opportunity, the Indonesian government focuses on strengthening the digital economy sector in this country. Consultation between the government and industry and stakeholders encouraged the implementation of a digitalization strategy in which the MSME sector became its backbone. This is important because 57 million Indonesian MSMEs contribute around 60% of GDP. “Seeing this phenomenon, we conclude that real actions need to be taken to prepare students so that after graduation they can immediately recognize the situation and conditions going forward and adjust them to the business strategy that they will used,” said Dr. Lodovicus Lasdi, MM., Ak. As the Dean of the Faculty of Business – Widya Mandala Catholic University Surabaya (WMCUS). 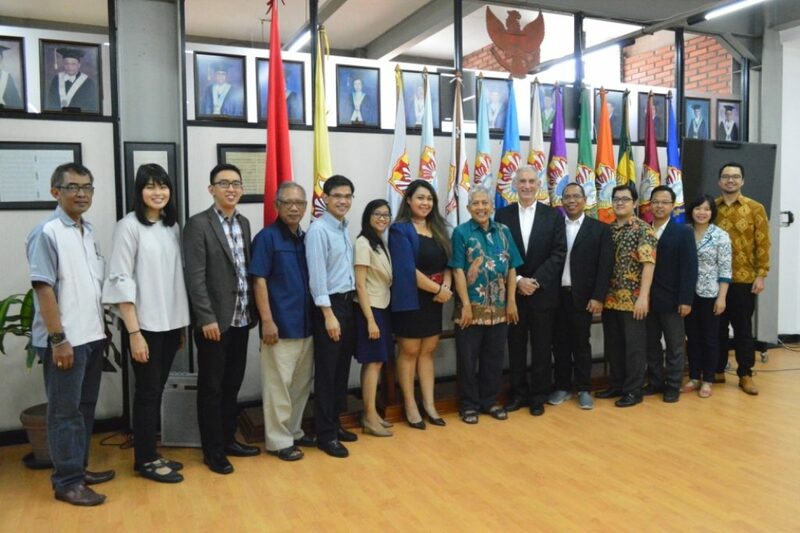 One of the concrete actions referred to is in the form of strengthening international cooperation between the WMCUS Faculty of Business – Management Study Program and leading universities abroad. 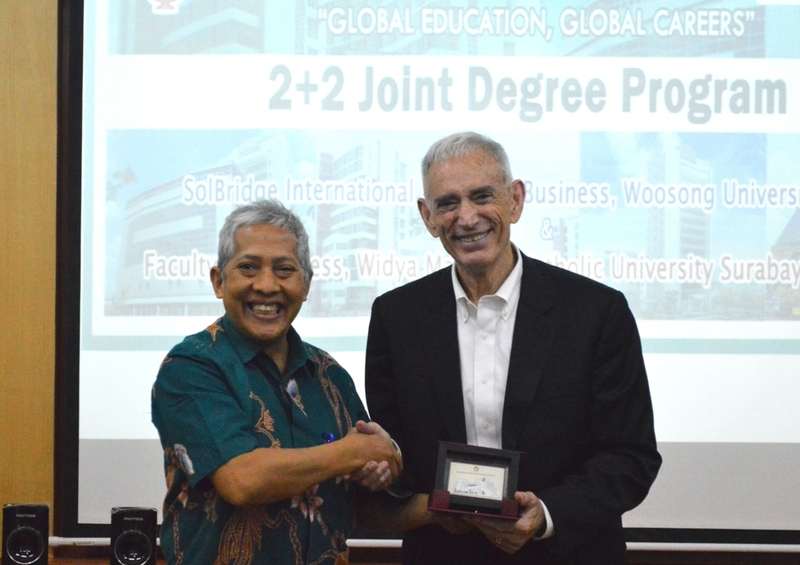 Wednesday, September 19, 2018, became a historic moment for the Faculty of Business because of the launching of 2 + 2 Joint Degree Program between WMCUS and SolBridge International School of Business, Woosong University, South Korea. Through this collaboration program students will have the opportunity to take education in Korea and obtain a bachelor’s degree from both WMCUS and from SolBridge. This is possible through a collaboration scheme in which the first two years of study period are taken at WMCUS and the last two years at SolBridge. “We are working with Solbridge because they have thousands of students from 56 different countries and 70% of their students are not Koreans. Therefore, by following this program, students will be exposed to extraordinary internationalization, even more than just learning experiences in Korea,” Lodo added. In addition to the launching of the joint degree cooperation program, a guest lecture was also held on that day with the theme “Digitizing Small Businesses to Seize Global Market”, given by Jerman Rose, Ph.D. as the Dean of SolBridge International School of Business. Present as guests were hundreds of students of the International Business Management (IBM) department, as well as business practitioners and professionals. The material presentation lasted for two hours and was followed by a warm discussion to discuss how to deal with various challenges that exist and strategic choices available to MSME actors in Indonesia. “One of the main obstacles is the mentality of the majority of Indonesian MSMEs who tend to feel satisfied with their performance in the local market only. 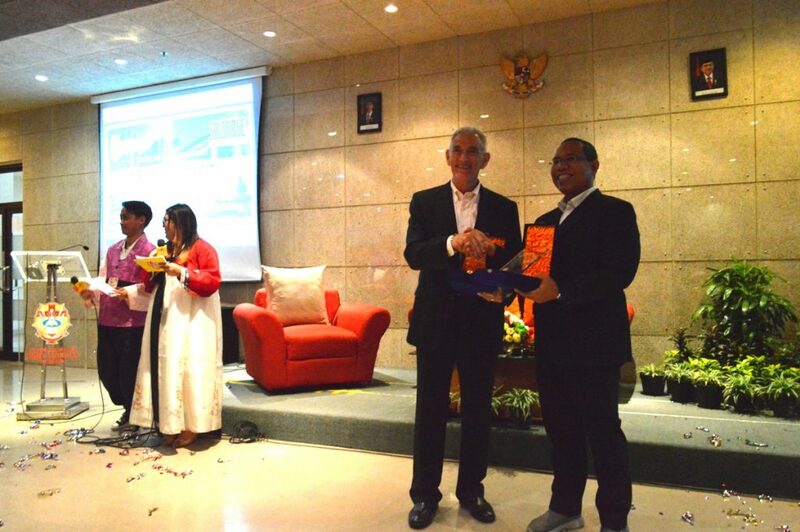 With the excuse of lacking capital, MSME actors often lack the recognition of the business environment and cultural differences in other countries so it becomes difficult for them to maneuver and explore new target markets abroad,” said Dr. Wahyudi Wibowo ST., MM., as the Faculty of Business – International Business Management (IBM) Program Coordinator. He added that in the digital world, speed is everything. This means that Indonesian MSMEs must move faster in taking the opportunity to expand their markets, which can be started by targeting neighboring countries in ASEAN. In line with the statement delivered by Wahyudi, Jerman also presented a case study of the ornamental fish business in the world. “Singapore is one of the biggest ornamental fish businesses in the world. Ironically 40% of the fish they sell comes from Indonesia. So many Indonesian ornamental fish business people sell their fish to Singapore only to be sold to other countries with higher prices. How come? 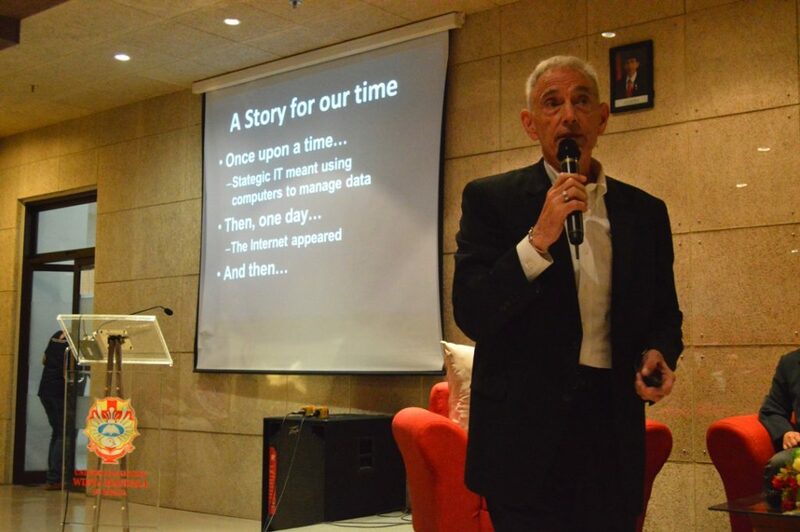 It turns out that NOT many Indonesian ornamental fish exporters use the internet or social media for their business,” he explained.